BEST FIGHTER FOR CANADA: Typhoon: Deadly storm or just blowing wind? 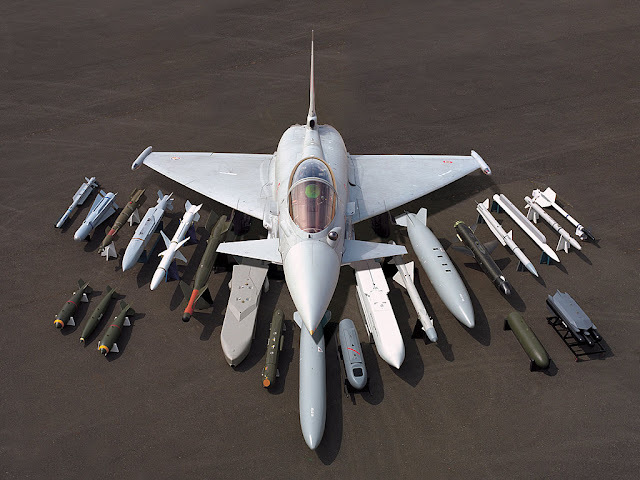 The Eurofighter Typhoon is a bit of a dichotomy. Depending on the source, the Typhoon is considered either a deadly air-superiority fighter or an unreliable money pit. As always, the answer is probably somewhere in-between. 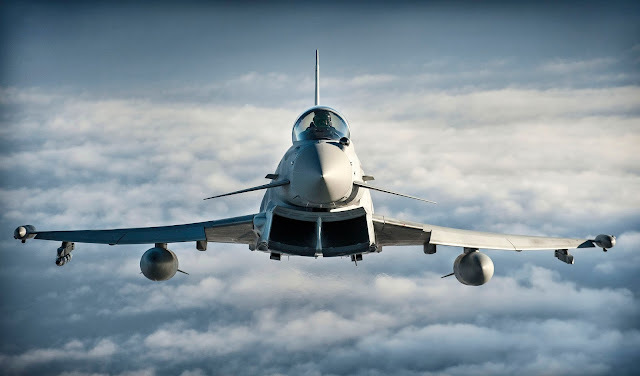 The Eurofighter Typhoon is the collaborative effort of four European nations; Germany Italy, Spain, and the U.K. This joint effort was formed as a way to (hopefully) breath life into Europe's aerospace industry. At one point, France was also involved, but left due to differing requirements. 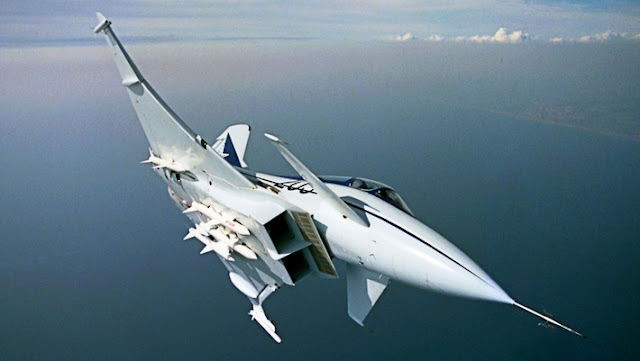 The design goal of what was to become the Typhoon was a challenging one: Develop an air-superiority fighter that combined the combat effectiveness of the F-15 Eagle, but in a size closer to that of a F/A-18 Hornet. The end result was an aircraft resembling that of British Aerospace's EAP demonstrator. The Typhoon's development was a troubled one, however. Multiple partners with multiple priorities resulted in developmental delays due to disagreements over work-sharing and parts sourcing. Things became even more precarious thanks to the economic turmoil following the the reunification of Germany. 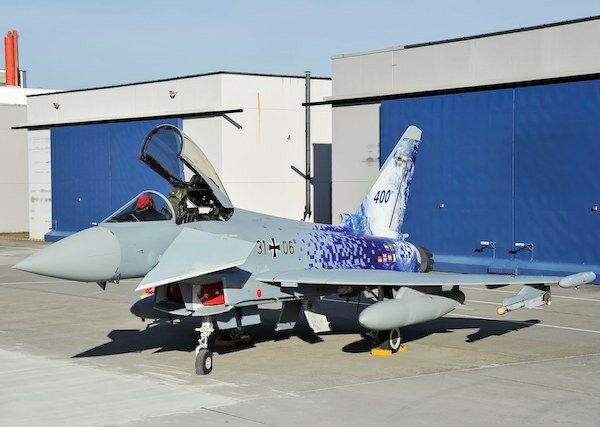 After a great deal of uncertainty, the Eurofighter has finally entered service. It has even managed to secure export orders from Austria, Saudi Arabia, Kuwait, and the Oman. With sales of over 700 aircraft and over 200,000 flying hours, the Typhoon is living up to its name as Europe's predominant fighter. Unfortunately, it is still the target of much controversy, thanks to issues with cost and reliability. By the time the Typhoon entered service in 2003, it almost seemed quaint. After all, the USA was just about to enter the "fifth generation" with its F-22 Raptor. Development of the F-35 was well on its way. What good was a "fourth generation" fighter at this point? As it turns out, the Typhoon can be considered a "4++" generation fighter. While it lacks stealth, it does utilize many "fifth generation" features. 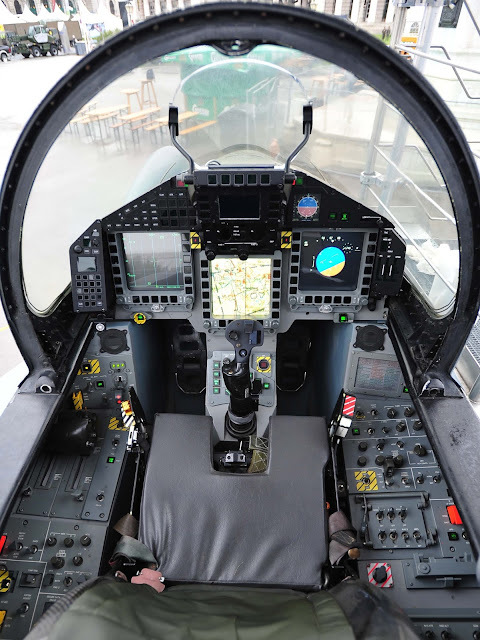 It incorporates a helmet-mounted display (HMD) and IRST, both of which the F-22 lacks. Already praised for its impressive CAPTOR radar, future models will receive an AESA version that can be rotated for increased field-of-view. While it may lack true stealth, the Typhoon does get by with the EuroDASS advanced electronic warfare suite. This system utilizes various jammers, decoys, and other systems to keep the aircraft safe. 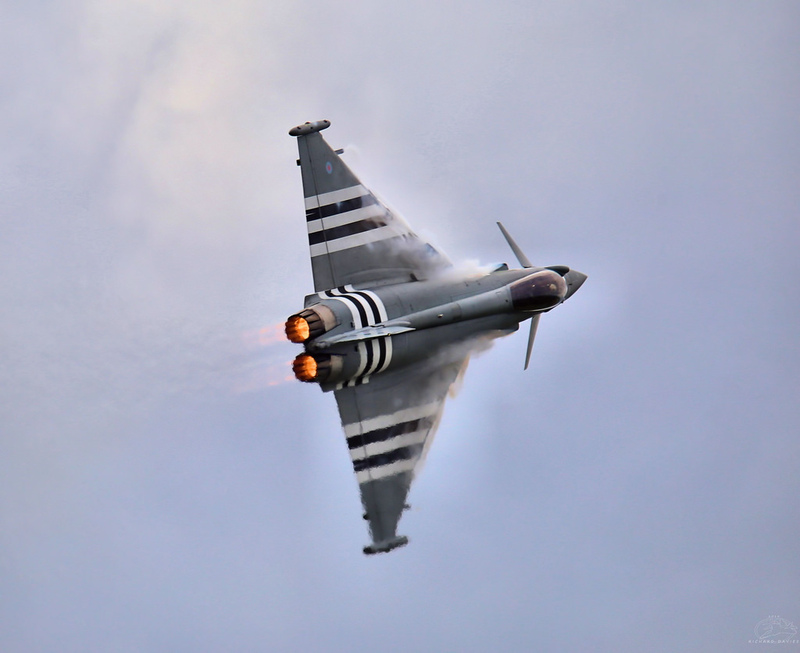 Looking at its performance numbers, it becomes clear that the Typhoon is a hot rod. Eurofighter engineers were tasked with designing a mid-sized fighter with performance matching that of larger fighters like the F-15 Eagle. They succeeded. A top speed of mach 2, and the ability to supercruise at mach 1.5 puts the Typhoon at the top of the mid-weight fighter class. Thrust-to-weight ratio of 1.15, ability to pull 9g turns, and a delta-canard design gives it top-notch maneuverability at just about any speed. More importantly, these numbers are with a air-to-air combat load. For interception missions, the Typhoon can go from "brakes off" sitting on a runway to mach 1.5 at 36,000 ft in under 150 seconds. The Typhoon also has a capable range, able to fly almost 3,800km with a combat radius of almost 1,400km. For air-to-air mission, the Typhoon has an impressive weapon selection. Not only is it capable of mounting the ubiquitous AIM-120 AMRAAM and AIM-9 Sidewinder, it can also utilize the IRIS-T, ASRAAM, and the ramjet powered MBDA Meteor. Earlier builds of the Typhoon concentrated mostly on air-superiority role. Ground attack duties were (and still are) given to the Panavia Tornado. As the Tornado approaches retirement, the Typhoon has been tasked with providing a swing role. With that, it can now utilize a wide variety of bombs and air-to-ground missiles. This includes stand-off missiles like the KEPD 350 and Storm Shadow; as well as smaller "low collateral damage" weapons like the Brimstone. When all else fails, the Typhoon mounts an impressive Mauser BK-27 revolver cannon carrying 150 rounds of 27mm ammunition. On paper, the Eurofighter Typhoon seems to be an ideal candidate to replace the CF-18. It has two engines, it is available in one or two-seat versions, there is an emphasis on air-superiority, it uses ordinance already in use by the RCAF, and it's roughly the size of the CF-18. It even has a drag-chute built in to help it land on shorter runways. The Typhoon does seem to "tick all the right boxes". The Typhoon could very well be the deadliest fighter available to Canada. One notable incident with the Typhoon involved a within visual range (WVR) simulated combat exercise with the F-22 Raptor. The Typhoon's agility; combined with its IRST, HMD, and high off-boresight missile capability, gave it the edge. Impressive stuff. The main caveat with the Typhoon is the matter of cost. It is an expensive aircraft. Its unit cost not only approaches the F-35's but exceeds it (depending on the math). Its operating costs are high as well. Even if its performance approaches that of an F-15C or F-22, the Typhoon can hardly be considered a bargain. Given Canada's limited defence budget, this is likely to be Eurofighter's biggest stumbling block. The Typhoon has a lot going for it. Blistering performance, an enviable pedigree, and connection to Canada's past history in the RAF. From a lobbying standpoint, Eurofighter has the collective might of some of Canada's closest allies. It also has industry giants like BAE and Airbus behind it. Unfortunately for the Typhoon, even Airbus does not have the entrenched presence of American defence giants like Lockheed and Boeing. Past experiences with unreliable British submarines may also taint perceptions. There is also the issue of simple inertia. Apart from the home-built CF-100 Canuck, the RCAF has operated US-supplied fighters since WW2. RCAF pilots do train in the British BAE Hawk, however. Realistically, the Typhoon does not seem like a likely replacement to the CF-18. It's cost and reliability issues open it up to the same criticism as the F-35 Lightning II. Promising to cancel the JSF purchase only to procure a similarly controversial fighter would likely not bode well for the Federal government. The Typhoon seems more likely than the Rafale to replace the CF-18, but the other contenders all have stronger political arguments. As we know, politics usually trumps performance when it comes to military procurement.